Housewarming parties can be an awkward situation for a guest who is on a strict and tight budget. While you don’t want to be rude and not bring a present at all, you simply can’t afford to bring anything that shows the level of respect you have. While there isn’t anything that his article can do to increase your budget, below are some great housewarming gift ideas that won’t break your budget. That’s right – simple vase. No flowers. It can seem strange to bring a vase to a party without any flowers, however, you can bet that another guest turned up to the party with flowers and no vase. Usually bringing flowers as a gift is a great idea, but a housewarming party suggests that the host may not have enough items yet to accommodate. Suddenly, an empty vase from a friend is a great present to receive and a helpful one at that! Just because you can’t afford to contribute to their home renovations doesn’t mean that you can’t contribute. 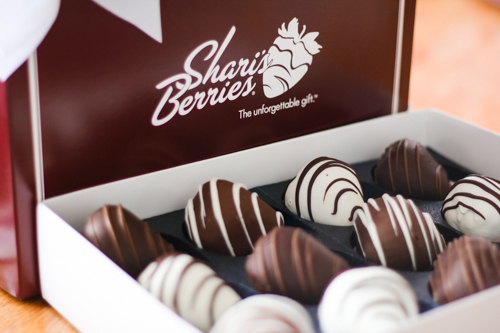 Head to the Groupon Coupons page for Shari’s Berries and pick up a gift basket that you can take with you to the party for the host to use for guests. You can imagine that the host has spent a lot of time and money on food and drinks, so a little extra help with some delicious treats is a gift that is always gratefully received and one that you can also enjoy. Do you know what a new homeowner doesn’t want to do the first month or two after they move in? Mow their lawn or clean the kitchen! Do you also know what is a cheap service to buy? That’s right, a lawn mowing or simple cleaning service. Check through a directory of their local area and prepay for a lawn cutting service or even a kitchen cleaning to get their new life started. If you are on a particularly tight budget, don’t be afraid to offer these service yourself. If you have ever purchased a home and then set everything up for your life then you know just how tiring it can be. At the end of it all, it can feel like you deserve a reward for all of the hard work that you put in. This is exactly the type of reward that you can purchase as a cost effective gift. Whether it’s two tickets to a high-class movie theater or a voucher for their favorite restaurant, consider a date-night out when looking for a housewarming present. Just because you don’t have a lot of spare money to spend doesn’t mean that you can’t show your friends just how much they mean to you when it comes time for their housewarming present. If you are in this position, keep this post in mind and you are sure to give a memorable gift.